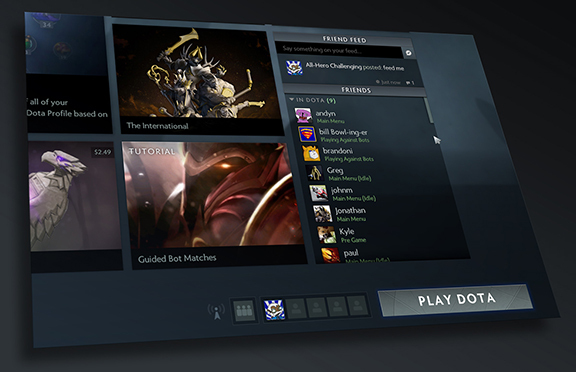 As of yesterday, all Dota 2 players are now running the Reborn update, which includes the Source 2 engine, a rebuilt UI, and Custom Games. Over the coming weeks we’ll be updating the game frequently to fix issues and refine the experience based on your feedback. You’ll be able to find patch notes in the usual place once again. In today’s update we’ve included a design-related change to the Dashboard. We’ve integrated the friends list in the Home screen, while still having it be available globally. We debated making this change during the earlier part of the beta, but we didn’t have enough confidence that it was correct until we got more feedback following yesterday’s release. Click here to read up on all the other fixes and improvements that are part of this update.